When on Friday, February 28, 1986, Samuel Cookey, a professor of political science, who had just been given an appointment by then military President, General Ibrahim Badamosi Babangida, IBB, wrote a letter requesting the Yoruba sage, Pa Obafemi Jeremiah Awolowo, to avail the Nigerian state the benefit of his wisdom, he (Cookey) did not bargain for what would be the response. Babangida had promised the Nigerian nation that he would enthrone a new social order by doing away with the politics of the past, bring in new breed politicians and change the political landscape. And since he was not going to wave the magic wand, he sought and got Cookey to chair a Political Bureau. That Bureau was saddled with the responsibility of fashioning out, after due consultations with Nigerians via memoranda and public presentations, a new political order. It was in the pursuit of this mandate that the professor wrote to Pa Awolowo, requesting his participation and views. “I received your letter of February 28, 1986, and sincerely thank you for doing me the honour of inviting me to contribute to the National Political Debate. “The purpose of the debate is to clarify our thoughts in our search for a new social order. “It is therefore meet and proper that all those who have something to contribute should do so. “I do fervently and will continue fervently to pray that I may be proved wrong. “For something within me tells me, loud and clear, that we have embarked on a fruitless search. “At the end of the day, when we imagine that the new order is here, we would be terribly disappointed. “In other words, at the threshold of our New Social Order, we would see for ourselves that, as long as Nigerians remain what they are, nothing clean, principled, ethical, and idealistic can work with them. “And Nigerians will remain what they are, unless the evils which now dominate their hearts, at all levels and in all sectors of our political, business and governmental activities are exorcised. “But I venture to assert that they will not be exorcised, and indeed they will be firmly entrenched, unless God Himself imbues a vast majority of us with a revolutionary change of attitude to life and politics or, unless the dialectic processes which have been at work for some twenty years now, perforce, make us perceive the abominable filth that abounds in our society, to the end that an inexorable abhorrence of it will be quickened in our hearts and impel us to make drastic changes for the better. “There is, of course, an alternative option open to us. “To succumb to permanent social instability and chaos. “In the premises, I beg to decline your invitation. It’s 33 years now that Awo wrote this letter. It is clear in my mind that this deep thinker saw into the future as time continues to validate his thoughts. Nigeria may have inadvertently chosen the alternative – “permanent social instability and chaos”. Otherwise, how else does one explain what has been happening in Nigeria? I remember in 1982 or so when he returned from his annual spiritual retreat, scores of journalists gathered at the airport to interrogate him. One of the questions posted was to query his thoughts on how Nigeria can be redeemed and placed on the path of growth. He replied emphatically that Nigeria is beyond redemption and there was no more hope. His political opponents dismiss his statement with ignominy and tagged him a prophet of doom. Prior to that and before his departure for his spiritual retreat, he raised an alarm that Nigeria was sliding very fast in economic and social order metrics. He said there remained a slim chance to change the course of events and save Nigeria. He reeled our immediate steps to be taken by the government but he was labeled alarmist and his counsels were treated politically. Today, only those who enjoy chaos thrive in Nigeria. It has been tragedies since then. The Federal Government will take another fresh external loan of $247.3m for the development of infrastructure, despite the country’s rising debt profile. The Federal Executive Council made the approval at its sitting in Abuja on Wednesday. It came just days after the International Monetary Fund raised eyebrows over Nigeria’s current N24.38tn debt, advising the country to take borrowing slowly. Briefing State House correspondents after the meeting rose, the Minister of Finance, Mrs Zainab Ahmed, gave a breakdown of the fresh loan. She stated that $150m would come from the African Development Bank, to be spent specifically on rural electrification projects; $50m from Africa Grow Together Fund for other electrification projects; and $20m from French Development Agency, which would be loaned to the Lagos State Government. 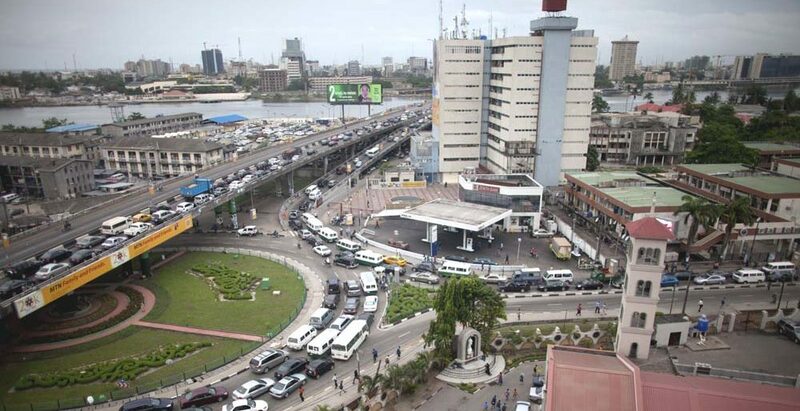 Lagos plans to use the $20m to build new roads and rehabilitate existing ones. This will be part of the West Africa Power Pool projects with a total loan requirement of $640m. The minister, who gave more details on the approvals by FEC, said, “Council approved three memos for Ministry of Finance. First, it approved a $150m loan facility from AfDB and $50m loan from African Grow Together Fund to finance the Nigerian electrification project. The project is a nationwide initiative to be implemented by the rural electrification agency. “The project aligns with the strategy of the Federal Government on electrification of rural communities. The project has four components: First is solar hybrid mini-grid for rural economic development, the second is productive appliances equipment for up-grid communities, and the third is energising education while the fourth component is institutional capacity building. “The impact of the project when fully implemented, about 500,000 people will be able to have access to electricity for about 105,000 households. The maximum power that will be generated will be 76.5 megawatts installed generating capacity part of which is 68,000 megawatts of solar. “Eight universities will benefit from this scheme and about 20,000 small, micro, medium enterprises across different communities in the nation. “The second approval is the North Core Dorsal Regional Transmission Project. This is a project that is part of the pipeline for the West Africa power pool priority projects. The intention is for the creation of a regional power pool in the region of West Africa. The pool project aims to connect Nigeria, Niger, Benin Republic, Togo, and Burkina Faso with a high voltage 330 kilowatts transmission line, to facilitate energy trade among participants. The embattled Chief Justice of Nigeria (CJN), Justice Walter Onnoghen. The Code of Conduct Tribunal (CCT) has convicted suspended Chief Justice of Nigeria (CJN), Walter Onnoghen, accused of false and non-declaration of assets. The tribunal chairman, Danladi Umar, while giving judgement in the case on Thursday, held that the prosecution had proven the case beyond reasonable doubt. The money in the 5 accounts that the defendant has failed to declare be confiscated, seized and forfeited to the FGN as it is proven that the money was gotten illegally and the defendant has not provided any evidence of how he got them. Before his punishments were read to him, the tribunal gave opportunity for allocutus. However, counsel to Onnoghen, Okon Efut (SAN), said the defence had nothing to say. When tribunal asked Onnoghen if he has anything to say, he said “My Lord, I don’t”. Ex-Niger Delta militants under the aegis of Niger Delta Ken Saro Wiwa Adaka Boro Biafra Freedom Fighters, have pleaded with the United Nations, UN, and the international community to compel the President Muhammadu Buhari-led Nigerian government to allow the people of Biafra go. According to the ex-militants, the only way to stop the agitation for Biafra was to allow Ndigbo have their own country. Chief Jasper Emmanuel, the leader of the group, made the call in Yenagoa, Bayelsa State. He noted that the actualisation of Biafra Republic could not be suppressed or denied as everybody had right to freely express his mind on where to belong. Emmanuel said, “all ex-agitators and militants must come together to support and agitate for the actualisation of Biafra Republic as that would give the Niger Delta region the tonic for rapid socio-economic development which had eluded the region for decades. “We are seriously working with all necessary stakeholders and Biafra agitation groups within and outside the country to actualise the dream of the Biafra Republic where the people can be free in a country they can call their own. “The actualisation of Biafra Republic will happen shortly as the people can no longer remain in a federation that is politically and economically favourable to only some sections, while other parts of the country that lay the golden egg live in abject poverty and under development.